Dasero is an electronic music addict, a life dedicated to develop smart rhythms has taken him to go among different styles, from house to hard-techno, minimal to hip hop or breaks but always printing his trademark. Like many artists of his generation saw a great opportunity to translate his ideas about dance music with the earliest computer DAW's leading him to publish some vinyls and perform the first live-acts of the time using these tools. 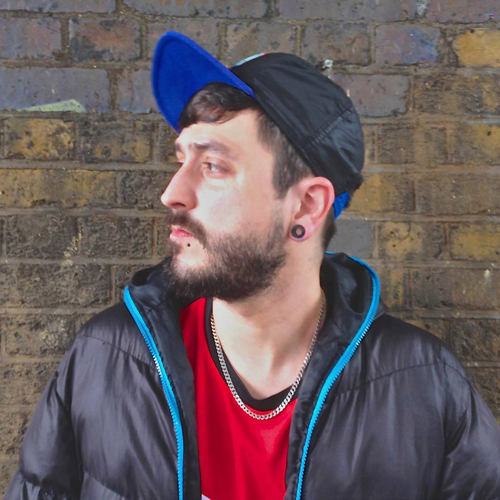 In 2010 moves to London looking for new opportunities and he definitely found them playing into many clubs in the city in famous party areas like Shoreditch or Dalston and achieving several residencies where you can enjoy of his live sets every week. Vid Marjanovic (1989) is a DJ and producer from Belgrade, Serbia. In his DJ sets you can hear many different kind of styles, it is a smooth mixture of Techno, Progressive House, Minimal, Tech-House, Deep House, Dub Techno, Psychedelic, BreakBeat & Jazz sounds. After being involved into psy/progressive trance scene as a DJ & Promoter from 2007-2009, at the end of year 2009 he decided to put his focus only into music production. At that period of time he was mostly influenced by artists like: Kraftwerk, Jean Michelle Jarre, Moby, Ott, The Chemical Brothers, The Prodigy, Dusty Kid, The Crystal Method, Laurent Garnier, Trentemoller, Extrawelt, Maetrik, Juno Reactor, Hallucinogen, Younger Brother, Minilogue etc. Traveltech aka Balint Bendeguz Bakos was born in Budapest in 1985. His love for music began in his childhood but at that time there weren’t any computer programs, tutorials and sound packages by which music and mixes could have been easily created. In the year 1999 he started writing his own music, based only on his own ideas and sounds he learnt by himself to use several kinds of DAW software. Later he started playing music in small clubs using only vinyl.